The investigation to somehow blame Russia for Donald Trump’s election has now merged with another establishment goal of isolating and intimidating whistleblowers and other dissidents, as Dennis J Bernstein describes. The Russia-gate investigation has reached into the ranks of journalism with the House Intelligence Committee’s subpoena of Randy Credico, who produced a series about WikiLeaks founder Julian Assange for Pacifica Radio and apparently is suspected of having passed on early word about leaked Democratic emails to Donald Trump’s supporter Roger Stone. The Credico subpoena, after he declined a request for a “voluntary” interview, underscores how the investigation is moving into areas of “guilt by association” and further isolating whistleblowers who defy the powers-that-be through unauthorized release of information to the public, a point made by National Security Agency whistleblower Thomas Drake in an interview. Drake knows well what it means to blow the whistle on government misconduct and get prosecuted for it. 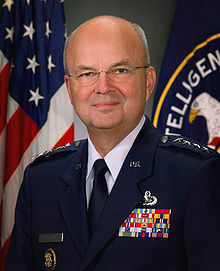 A former senior NSA executive, Drake complained about a multi-billion-dollar fraud, waste, and widespread violation of the rights of civilians through secret mass surveillance programs. As a result, the Obama administration indicted Drake in 2010, “as the first whistleblower since Daniel Ellsberg charged with espionage,” according to the Institute for Public Accuracy. In 2011, the government’s case against him, which carried a potential 35 years in prison, collapsed. Drake went free in a plea deal and was awarded the 2011 Ridenhour Truth Telling Prize. 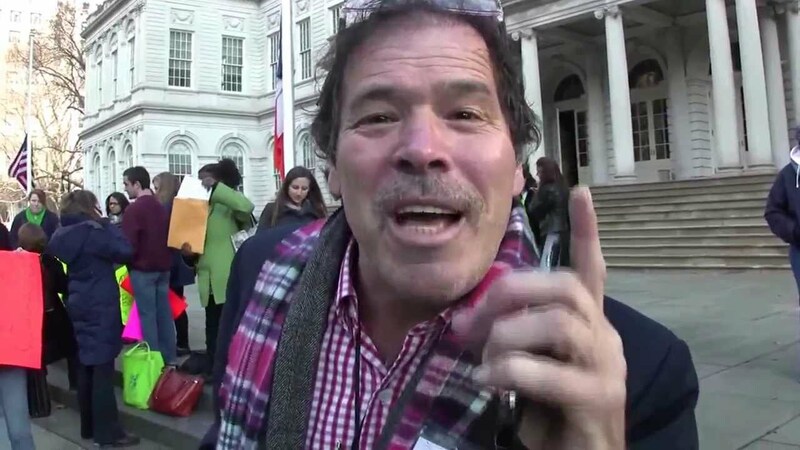 Credico got his start as a satirist and became a political candidate for mayor of New York City and later governor of New York, making mainstream politicians deal with issues they would rather not deal with. I spoke to Thomas Drake by telephone on Nov. 30, 2017. Dennis Bernstein: How do you look at Russiagate, based on what you know about what has already transpired in terms of the movement of information? How do you see Credico’s role in this? Thomas Drake: Information is the coin of the realm. It is the currency of power. Anyone who questions authority or is perceived as mocking authority–as hanging out with “State enemies”–had better be careful. But this latest development is quite troubling, I must say. This is the normalization of everything that has been going on since 9/11. Randy is a sort of 21st century Diogenes who is confronting authority and pointing out corruption. This subpoena sends a chilling message. It’s a double whammy for Randy because, in the eyes of the US government, he is a media figure hanging out with the wrong media figure [Julian Assange]. Dennis Bernstein: Could you say a little bit about what your work was and what you tried to do with your expose? Thomas Drake: My experience was quite telling, in terms of how far the government will go to try to destroy someone’s life. The attempt by the government to silence me was extraordinary. They threw everything they had at me, all because I spoke the truth. I spoke up about abuse of power, I spoke up about the mass surveillance regime. My crime was that I made the choice to go to the media. And the government was not just coming after me, they were sending a really chilling message to the media: If you print this, you are also under the gun. Dennis Bernstein: We have heard the charges again and again, that this was a Russian hack. What was the source? Let’s trace it back as best we can. Thomas Drake: In this hyper-inflated, politicized environment, it is extremely difficult to wade through the massive amount of disinformation on all sides. Hacking is something all modern nation-states engage in, including the United States, including Russia. The challenge here is trying to figure out who the players are, whose ox is being gored, and who is doing the goring. From all accounts, Trump was duly elected. Now you have the Mueller investigation and the House investigation. Where is this all leading? The US intelligence agency hasn’t done itself any favors. The ICA provides no proof either, in terms of allegations that the Russians “hacked” the election. We do have the evidence disclosed by Reality Winner that maybe there was some interference. But the hyper-politicization is making it extraordinarily difficult. Dennis Bernstein: It looks like the Russiagaters in Congress are trying to corner Randy. All his life he has spoken truth to power. But what do you think the role of the press should be? Thomas Drake: The press amplifies just about everything they focus on, especially with today’s 24-hour, in-your-face social media. Even the mainstream media is publishing directly to their webpages. You have to get behind the cacophony of all that noise and ask, “Why?” What are the intentions here? I believe there are still enough independent journalists who are looking further and deeper. But clearly there are those who are hell-bent on making life as difficult as possible for the current president and those who are going to defend him to the hilt. I was not surprised at all that Trump won. A significant percentage of the American electorate were looking for something different. Dennis Bernstein: Well, if you consider the content of those emails….Certainly, the Clinton folks got rid of Bernie Sanders. Thomas Drake: That would have been an interesting race, to have Bernie vs. Trump. Sanders was appealing, especially to young audiences. He was raising legitimate issues. Dennis Bernstein: In Clinton, they had a known quantity who supported the national security state. Now you have this interesting dynamic where the national security establishment is effectively undermining a duly elected president of the United States. I recognize that Trump is vulnerable, but these types of investigations often become highly politicized. I worry that what is really happening is being sacrificed on the altar of entertainment and the stage of political theater. What is happening to Randy is symptomatic of a larger trend. If you dare speak truth to power, you are going to pay the price. Is Randy that much of a threat, just because he is questioning authority? Are we afraid of the press? Are we afraid of having the uncomfortable conversations, of dealing with the inconvenient truths about ourselves? The Thomas Drake affair was why Ed Snowden did what he did rather than go through official channels to disclose or challenge. Moreover if Dennis wants to complete the rest of the story he needs to cover the extensive, pervasive use of “non-disclosure” agreements throughout the US. In the end, what will bring this monstrously lumbering “Russia-gate” dog and pony show crashing down is that stupid, fake Fusion GPS dossier that was commissioned, paid for, and disseminated by Team Hillary and the DNC. Then, as with the sinking of the Titanic, all of the flotsam and jetsam floating within its radius of destruction will go down with it. What will left to pluck from the lifeboats afterwards is anyone’s guess. All thanks to Hillary. Apparently, Santa isn’t the only one making a list and checking it twice this year. He’s going to have to share the limelight with Karma. Perhaps the one good thing about Trumps election is that its shows democracy is still just about alive and breathing in the US, because as is pointed out in this article, Trump was never expected to win and those who lost are still in a state of shock and disbelief. Trump’s election has also shown us in vivid technicolour, just what is really going on in the deep state. Absolutely none of this stuff would have come out had Clinton won and anything there was would have been covered up as though under the concrete foundation of a tower block. However, Trump still has four years left and as a British prime minister once said, “a week is a long time in politics”. Well four more years of Trump is a hell of a lot longer so who knows what might happen in that time. One things for sure: the Neocons, the deep state, and all the rest of the skunks that infest Washington will make absolutely sure that future elections will go the way as planned, so perhaps we should celebrate Trump, because he may well be the last manifestation of the democracy in the US. Truth is he enemy of coercive power. Lies and secrecy are essential in leading the sheeple to their slaughter. Those who govern (527 of them) at the pleasure of the constitution are about to breach the contract that entitles them to govern. Limiting the scope of information allowed to those who are the governed, silencing the voices of those with concerns and serious doubts, policing every word uttered by those who are the governed, as well as abusing the constitutional privilege of force and judicial authority, to deny peaceful protests of the innocents is approaching the final straw. The governors and their corporate sponsors have imposed on those the governors govern much concern. When in the course of human events, it becomes necessary for one people to dissolve the Political bands which connected them with another, and to assume among the Powers of the Earth, the separate and equal Station to which the laws of nature and of Nature’s God entitle them, a decent Respect to the Opinions of Mankind requires that they should declare the causes which impel them to the separation. I submit the actions and intentions of those who govern that are revealed and discussed in this article https://consortiumnews.com/2017/12/07/russia-gates-reach-into-journalism/ should be among the list of impels that support the next declaration. Those who govern (527 of them and the puppet master oligarch behind them) will make certain that there’s no support for the next declaration. There’s no respect to the opinions of the mankind, what matters is keeping the current status quo in place and further advance it by silencing the independent media. Maybe when the next “Mother of all bubbles” come, there’s an opportunity for the mankind to be heard, but it’s doubtful. What has taken place during the last bubble is that the rich has gotten richer and the poor, well, you know the routine. The intensification of panic/hysteria was obviously triggered by the shock election of Trump. Where this is all heading is on display in Australia, as the government is writing legislation to “criminalise covert and deceptive activities of foreign actors that fall short of espionage but are intended to interfere with our democratic systems and processes or support the intelligence activities of a foreign government.” The legislation will apparently be accompanied by new requirements of public registration of those deemed “foreign agents”. (see http://www.wsws.org/en/articles/2017/12/07/auch-d07.html). This will be an attack on free speech, free thought, and political freedoms, justified by an orchestrated hysteria which ridiculously assumes a “pure” political realm (i.e. the “homeland”) under assault by impure foreign agents and their dirty ideas. Yes, that is a fascist construct and the liberal establishment will see it through, not the alt-right blowhards. How disgusting to have to live today in the society so accurately described by Orwell in 1984. It was a nice book to read, but not to live in! Actually Mike, the book was a prophesy but you aint seen nothing yet. You me and the rest of the posters here may well find ourselves going for a visit to room 101 yet. It is highly encouraging to know that a great many good and decent men and women Americans are 100% supportive of Mr, Randy Credico as he prepares for his testimony before the House Intelligence Committee. Remember all those standing right there beside you, speak what rightly needs to be spoken, and make history Mr. Credico! “Raw Executive Authority” means Totalitarianism/Fascism. Yeah, it is definitely a way of describing the concept of fascism without using the word. The present yankee regime seems to be quite far along that road, and the full-on types seem to be engaged in a coup to eliminate those they fear may not be as much in the fascist deep-state bag.